Your baby has started on solid foods, and they’ve mastered eating their vegetable and fruit purees. So, at what point can you introduce meat into your baby’s diet? Below, we go in detail on when and how to introduce meat to your babe. How do I know my baby is ready to start eating meat? Your babe has already started soft finger foods, such as pieces of avocado, blueberries cut in half, and soft, steamed carrots. Your babe already has a few teeth that have popped in. Your babe exhibits a real interest in foods that you eat, and seems ready to try out new flavors. What is a good meat to start with? In the United States, organic chicken is the go-to meat to give to babies who are just starting on meat. Why? Chicken has a fairly neutral flavor, it’s easy to chop up into small pieces — it’s great in the food processor — and it’s an amazing lean protein. However, every family is different and you can ultimately begin with whatever meat you feel most comfortable preparing. What are some techniques for introducing meat? Chop it up! Meat can be a tough texture for babies to love on the first try, so make sure to chop up the meat as much as possible to ease the transition. We recommend putting the meat in a food processor and chopping it up super fine at first. Mix in meat with your babe’s favorite vegetable puree. This is a great way to introduce something new, along with something you know they love already. When choosing beef, make sure to select lean cuts, as this will be easier for your babe to digest. Use a crockpot! A crockpot is an amazing way to cook meats and ensure that they get nice and tender. Add meat into the pot with some root vegetables and carrots, and cook in broth. Be patient — overall, meat is a much more difficult food for babe’s to get used to. Keep trying, and don’t give up! 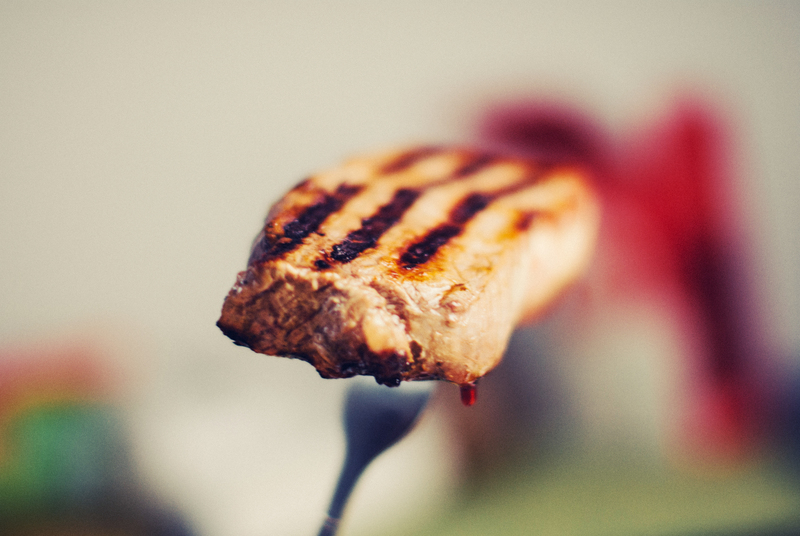 Regardless of which meat you pick, make sure to cook all meet thoroughly to prevent food borne illnesses.